Art South and Hudgins Companies, owner of the Mag & May apartments, have partnered to commission 20 murals at the Mag & May apartment community under construction at 315 W. Magnolia Avenue. That’s right beside Fixture, at the corner of W. Magnolia Avenue and May Street. Earlier this year through a public call for qualification, Art South invited artists to apply for a commission of 20 murals on the street-facing stucco stoops at the Mag & May apartments. More than 130 artists applied to the call! 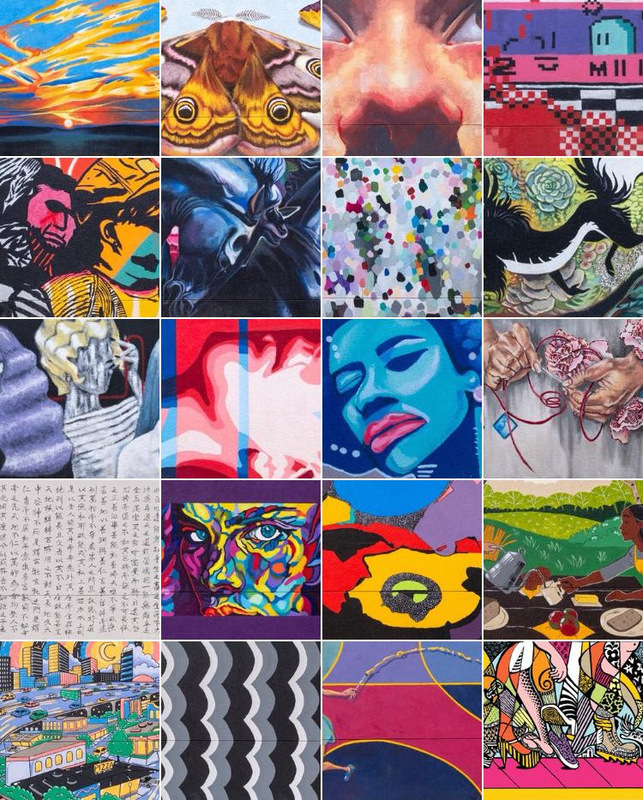 With a difficult decision on their hands thanks to so many quality applications, the Art South Selection Committee chose a diverse group of artists with a range of experience from highly accomplished muralists to those painting in large format for the first time. You can see photos of the murals online on our Facebook and Instagram pages, but trust us when we say you should go see them all in person before deciding. Voting is open until 10 am on Monday, December 3!